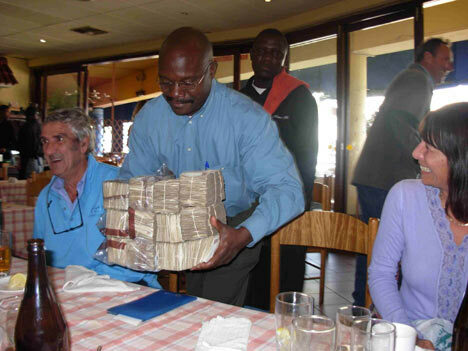 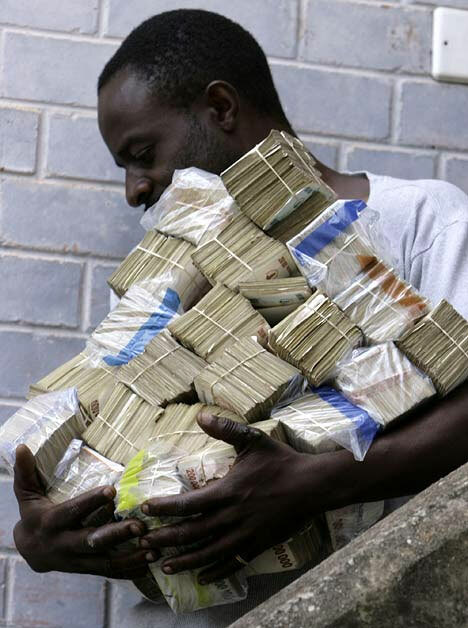 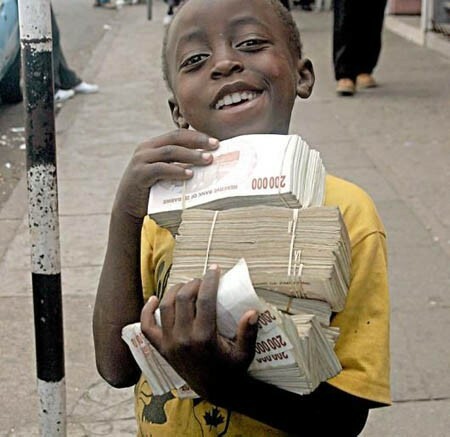 Hyperinflation has Zimbabwe in the throes of a financial crisis that makes the one we're dealing with look like a walk in the park. 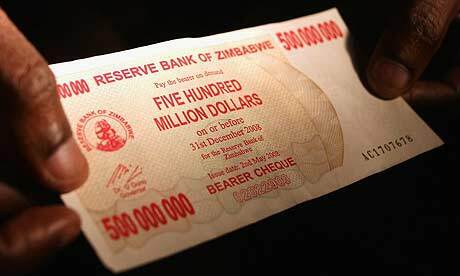 The monthly inflation rate in Zimbabwe is currently running at 13.2 billion per cent, and could reach an all-time world record within weeks. 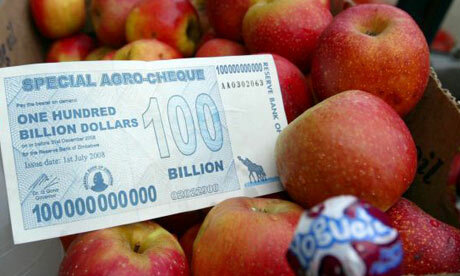 The latest figures put Zimbabwe's annual inflation rate at 516 quintillion per cent. 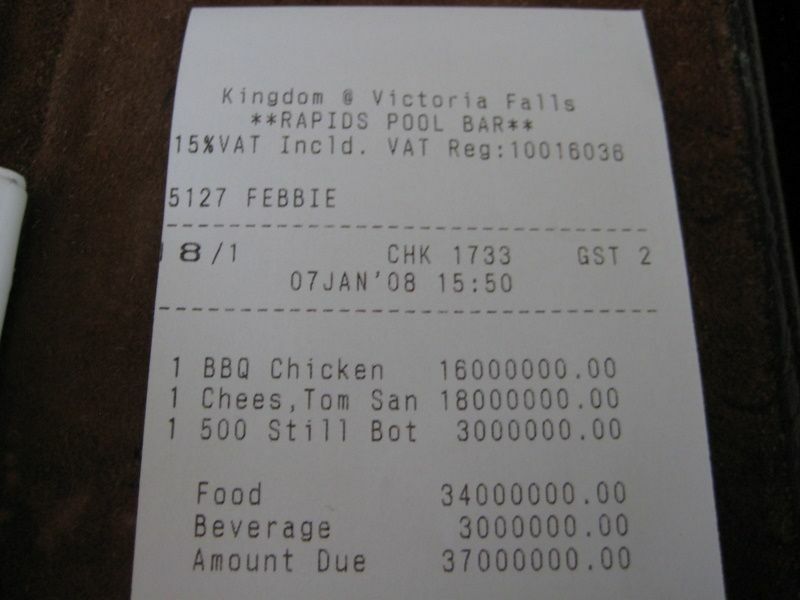 That's 516 followed by 18 zeros. 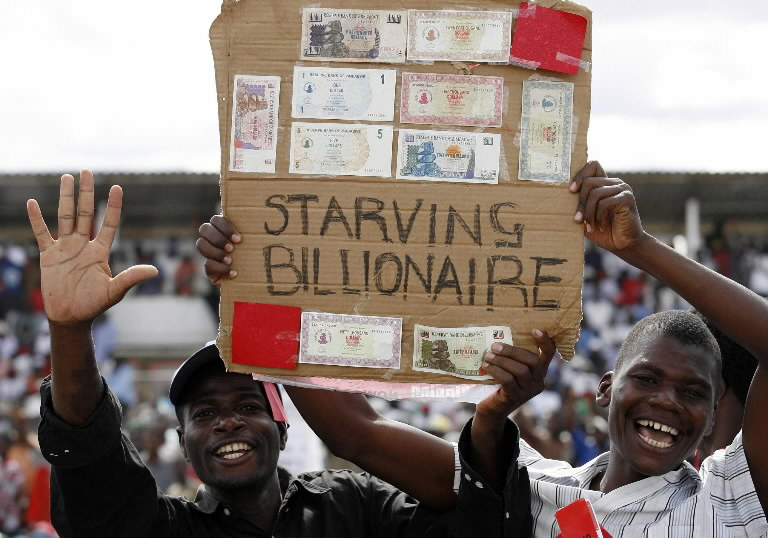 Consumer prices on everything from gasoline to glue are doubling on average every 1.3 days. 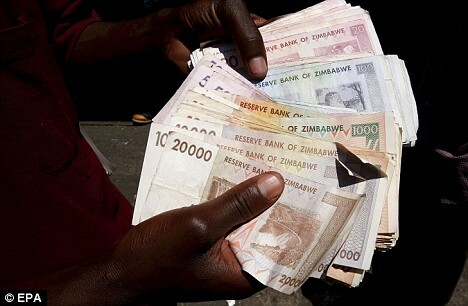 Zimbabwe's inflation crisis is now the second worst inflation spike in history, behind the hyperinflationary crisis of Hungary in 1946, in which prices doubled every 15.6 hours. 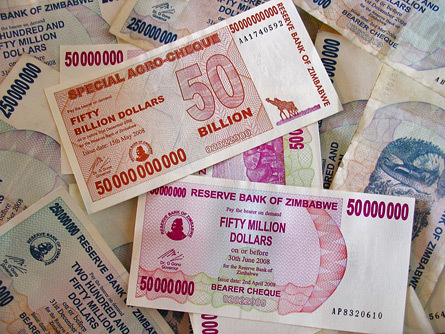 In September 2007, the exchange rate between the U.S. dollar and the Zimbabwe dollar was USD1 to ZWD253. 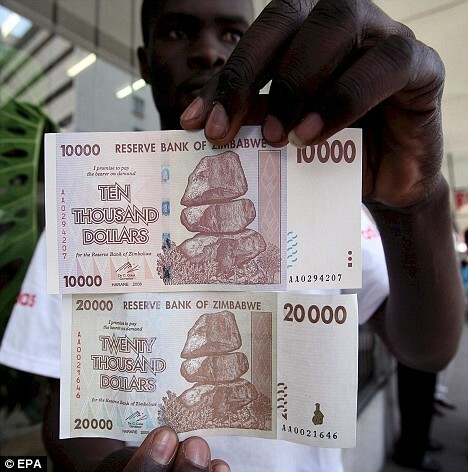 The current exchange rate between the U.S. dollar and the Zimbabwe dollar is USD1 to ZWD60,623. 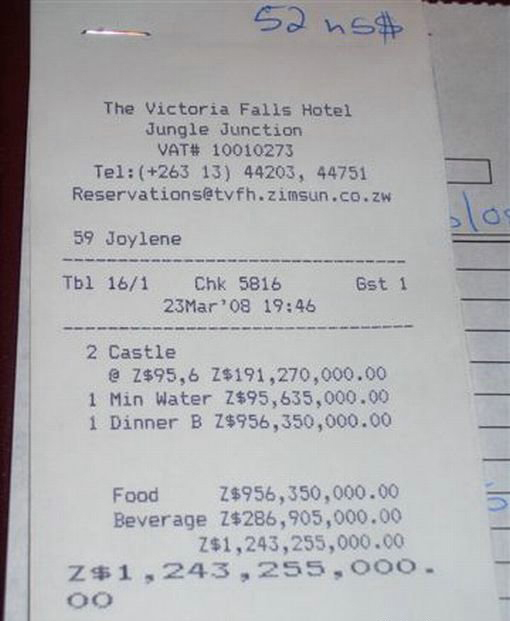 This is a 23,861% increase since then. 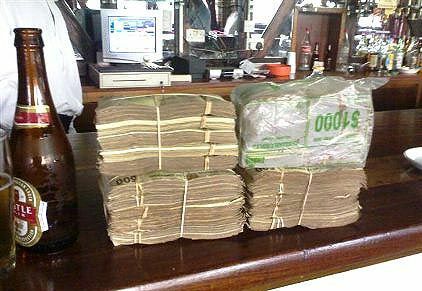 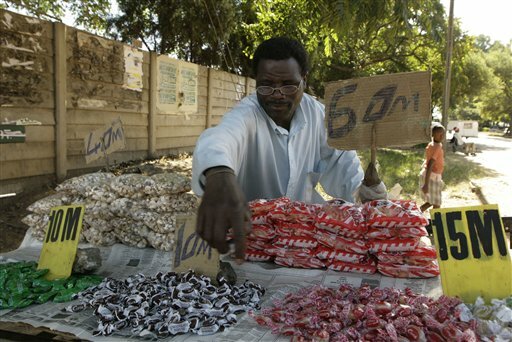 Below you'll see some some photos that I gather from around the internet of the affects of hyperinflation in Zimbabwe.